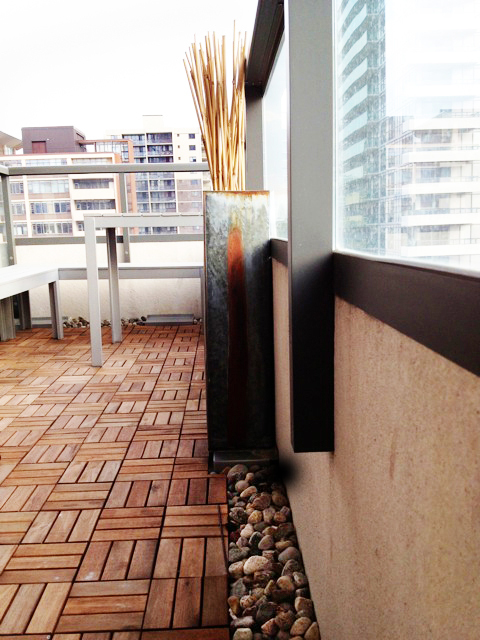 A concrete balcony is one of the many blank canvasses that face you when you move into a condo. It’s usually small and stark and aside from putting out a couple of chairs and maybe a small table, your attempt at being creative is limited. Well, my ‘visionary’ husband took one look at our space in the sky and had an idea. No hanging flower baskets or wrought iron bistro furniture for this balcony. 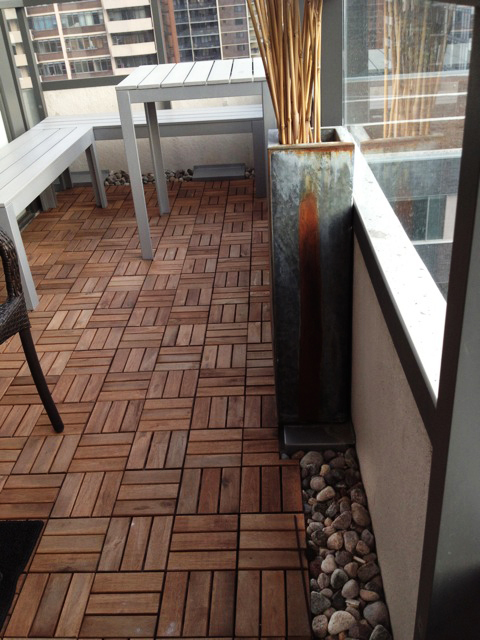 It was to be interlocking wooden slats, river rocks and bamboo sticks – his particular version of a Zen-like setting. 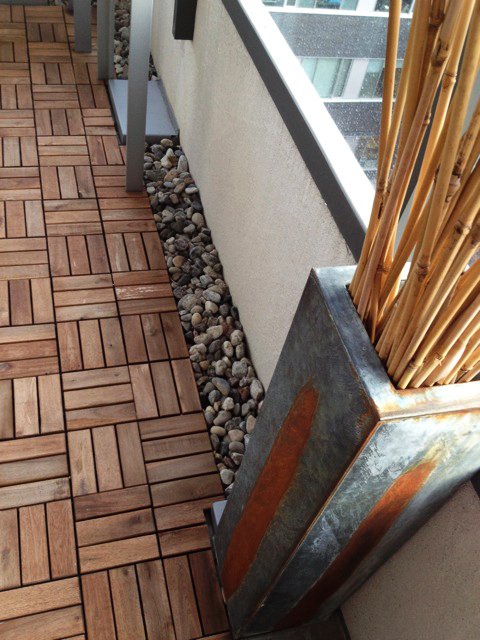 So we amassed these elements and carted them up the elevator and out onto the long, narrow balcony. In a few days, it all came together and we could enjoy our unique space. Best of all – no maintenance! But we’re not quite finished. Up next: a “water feature”.